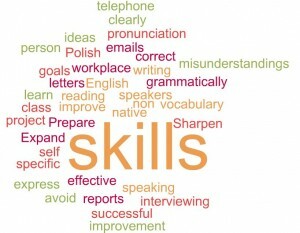 Vocabulary building is one of the most important techniques for efficient language learning. After you have conjugated verbs and memorized grammar rules, it all comes down to vocabulary. Having a wide collection of words at your command is what enriches your conversational abilities. Furthermore, a well-developed word bank will often override any deficiencies in your sentence formation. As you strive to become bilingual, you should focus more and more on vocabulary building because the broader the range of your word choices, the more you can express yourself. There are several techniques for vocabulary building. The most effective vocabulary building technique is to fully immerse into the project, making it an ongoing, daily process. Instead of going through your usual routines without much thought, add the challenge of naming everything you come across using your target language. When you walk across the floor, you can use your new vocabulary to name the rug, the carpet, the tile floor that you cross. You can name the process of walking, the objects you past, the things you do, and the tools you use. Developing your awareness of the things around you is an excellent vocabulary building technique. Just say the word aloud, if it is feasible, or think it to yourself. You can even add identifying notes to stick on objects as reminders of the vocabulary you need. In time, if you keep this up, you won’t need such notes any longer! Awareness of your surroundings can be extended to your car, at work, or any other place. Another vocabulary building technique is to use vocabulary cards during those times when you have a few minutes to study them. In line at the bank, on the commuter train, wherever you are, you can pull out your cards and work at storing new words in your vocabulary bank. You can look at the word in your target language, or in your native English, and translate it. Flip the card over to check your answer. This is an older vocabulary building technique that has been around for a long time because it works so well. Many people now prefer a more digital approach to vocabulary building. They want to listen on their earphones while they are exercising, cooking, or commuting. They want to actually hear the new word so they can repeat it using correct pronunciation. For these reasons, and because of the convenience and adaptability of technology, vocabulary programs on CD are probably the most popular technique for expanding vocabulary. Vocabulary CDs are useful in the car, around the house, wherever you are. You can use earphones or the speakers on your sound system. Transferring the CDs to your MP3 player makes them even more portable. The lessons can be stopped and restarted any time you want to check your pronunciation or review a particular word. And using CDs is a participatory vocabulary building technique. You listen and repeat, focusing on the sounds of the word as well as the meaning. It’s a great way to learn! As you can see, there are several approaches to vocabulary building. Choose the one that suits you best, or use them all in combination. Perhaps you have your own method for vocabulary building, but no matter which you choose, as you accumulate new words regularly, your path to fluency becomes so much smoother! This entry was posted in Language Learning Tips and tagged Conversational Spanish, Language Learning, Maria Oliveira, Online lessons, Vocabulary. Bookmark the permalink.